My management professor presents articles at the beginning of class that are recent and pertinent to the business profession. Last week he showed us this article, featured in the Sept. 29th Fortune Magazine, about the president of Disney-ABC networks Anne Sweeney. In the article she describes the most useful advice she was ever given. She says that it did not come from anyone she knew, but instead she describes a trip to the farmer’s market during a long weekend in San Francisco. She says that she saw a piece of steel etched with a quote, “What would you do if you knew you could not fail?” She says that it stopped her in tracks and she goes on to offer some useful advice. As someone who is entering the job search during this time of economic uncertainty and having just written an article about beginning the job search for this issue of Platform, it struck me as pertinent to the job search. Who would I contact if I knew I wouldn’t hear “no.” Would I call that agency I am dying to work for? Maybe. I believe perception is what drives us. If we ignore the perception of failure and push forward with all of our dreams, then we can not, will not fail. If our expectations are reasonable, if we can dream it, we can do it. I like to think of public relations as one of the most innovative careers. I think that we need to use this “will not fail” approach more often. Most PR campaigns are teeming with research to back the methods that they are suggesting. Simply making the why behind everything “because we cannot fail” is insane for practitioners and students, like myself, who want to have logical explanations for everything that we do. I think we as people and as public relations students, educators, and practitioners need to think less about the why and how and more about the instinct and feelings behind what we do. What is PR? Some people confuse it with advertising because of its similarities, but in actuality it has a very different purpose. Public relations practitioners seek relationships with people, building a bridge between clients and their audience. Advertising is just one car crossing that bridge to help spread the word about a product or event. With that said, many students (including myself) enter the PR field, not knowing what it is really about. When I was a sophomore, I remember asking different educators in the Communications College, “What is the difference in an Advertising and Public Relations degree?” The answers I got weren’t necessarily clear to me. It took a while before I started actually understanding PR. Exploring this question will help you define your career, instead of the career that defines you. Don’t get me wrong, it is important to search for jobs. But perhaps exploring the question will help you to know what jobs to look for and also which people to contact. Meeting people—one of the key PR tools. Contact people involved in public relations and build relationships. You can learn a lot by just talking with others and listening to their experiences they have had in the PR field. Then, that person may give you another contact, and another and so on, until you have loads of knowledge that can gear you towards that next step. I have found that you must be passionate about what you are doing. Since there are many students striving toward a degree in PR (e.g., 584 in UA’s 2008 undergraduate PR program), you have to find ways to be creative and different than others in your field. Start with something you are passionate about and the ideas will begin to flow. Keeping up with current events in public relations is important to all PR students, educators and practitioners. An easy way to do this is by reading blogs on PR topics. There is certainly no shortage of blogs out there to read with everyone from firms to magazines, practitioners to students blogging about public relations. But how can you keep up with all of this information coming at you from hundreds of different sites? The answer for many is to utilize RSS (Really Simple Syndication) feeds. These feeds make it easy to keep up with the latest blog posts so you don’t miss the discussion, but also enable you to see all of these posts in one convenient location so you don’t have to visit each blog’s Web site. 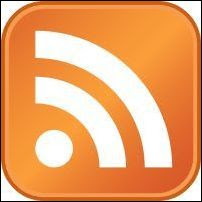 The problem with RSS feeds is many people do not know how to use them. Because of this I will take the opportunity to briefly explain how easy it is to make your quest for public relations knowledge a little bit easier. First, you need to find some blogs that interest you. They don’t have to be public relations blogs, but as someone connected with the field, I would hope that you are looking at one or two a month at least. Once you have found these blogs that you would like to read regularly, you need to find the feed reader that best suits your needs. One of the most popular readers is now available from Google. In order to use this reader, you must have a Google email account (Gmail). The link to Google’s reader is available on the upper right hand side of your screen once you log into your email (which I have put in a red box in the screen shot). Yahoo also offers a feed reader through their My Yahoo! feature. Other sites offer free readers such as Omea Reader and RssReader. If you choose to utilize these readers, you will see the blog posts in their entirety, including pictures. You can even customize the look of your reader through these services, changing how you view the newest posts, among other things. Another option you have is to utilize the “Live Bookmarks” or “Feeds” feature available on browsers such as Mozilla’s Firefox and Microsoft’s Internet Explorer (the Firefox feature is shown at right). This option allows you to view the title of each new post in your bookmarks sidebar. Once you click on the title, it takes you to the Web site so you can view the post you want to see. Now that you have picked some blogs to subscribe to and have chosen your reader, it is time to learn how to subscribe. This is probably the easiest part of the process because it requires only a few clicks of the mouse. Though the process looks a little different on each browser, the logistics are the same. On the blog’s Web site, look for a link that says something to the effect of, “subscribe to this blog’s feed.” This is usually accompanied by an orange box with three white lines originating in the left hand corner, smallest to largest (like this: ). Once you click on that box you will either be immediately prompted to add this blog to a reader or you will have to click again on another link saying, again, “subscribe to this blog’s feed.” You can now choose which feed reader to use. From the drop-down menu, select the reader that you would like to use and click subscribe. It’s that easy! You can even repeat the process to subscribe to the blog using several of your readers if you want to experiment with a couple before choosing the right one for you. You’re all set now so happy reading! E-mails, calendar announcements, blog posts, electronic notifications… day by day, hour by hour, our lives are getting more and more organized… but equally overwhelmed and inundated with massive amounts of feeds, posts, articles and quizzes. Some of it is relevant, some of it is fun and some of it is clutter. How can we make sense of all the information coming at us? It’s not a perfect system (if in fact, such a creature does exist), but it does help to keep track of the what matters and what doesn’t. Social bookmarks are the new way to share with family, friends and random strangers something you find interesting. And, you can look it up later in case you want to show it again. Such applications usually allow you to take the URL of a page and send that to friends, while bookmarking on your home browser, computer or social network for future reference. The most common of these are: Digg, Facebook, and RSS feeds. It’s simple and to the point – unlike everything else. So how can you start bookmarking, and when is it appropriate? —Once registered, most of these have the ability to take the URL of a page and copy and paste it into the share/posted items/bookmark section, such as with Facebook. Here, you post the link and a short description of what you find interesting about that site. On social networking sites, these links show up on your profile page and on some friends’ activity feeds. —Other sites, such as Digg, work a little differently. In these cases, on the page you are interested in, there is usually a “Digg this” button that allows you to link this page to your Digg account, post a small summary and then submit. Sites such as these attract browsers who are interested in seeing what others find interesting, and the more popular the link becomes, the more attention it gets on the front pages of such sites. —Now you have shared your link with the rest of the world, and voila – you also have that link permanently stored on your account for use later. —Social networking does not have many rules, but the most important one is to not overdo it – users following your links (some have no choice, especially on social networking sites) will quickly get annoyed with an onslaught of links and either remove you as a friend, send you constant messages, or ignore the links, driving down the popularity. For personal use, social bookmarking makes sharing cool facts, figures, pictures and video easy and user-friendly. For the field of Public Relations, it is a miracle – the ability of users to find something of interest on your company’s site or extensions of the site, and share it with friends. In this way, more users are drawn to your site and/or get the general idea of your site from the brief snippet provided by the shared link, and your company gets brand recognition.